Ever see the movie Memento? 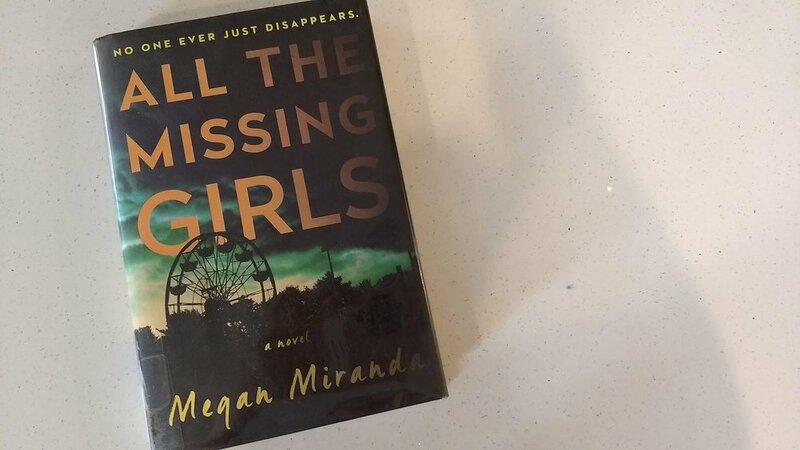 Well, no one in All the Missing Girls has lost the ability to convert short-term incidents to long-term memory BUT the book still plays backwards, each chapter detailing the day BEFORE the one you just read. I loved this book. Didn't want to put it down. And while the beginning got my spidey-senses tingling, it was never gross or violent or terrifying. Despite the eeriness of the cover, the book stayed (from my perspective) firmly in the realm of excellent suspense thriller and never got close to horror. Basically, this book is about how there’s no going back home to your small town once you move to the big city… especially if you left your small town following the disappearance and suspected murder of your best friend without saying goodbye to your first true love. The story includes some flashbacks (‘memories,’ possibly a better description) of what happened ten years ago, but keeps your attention on trying to piece together what’s happening right now, since, as I said above, the story unfolds backwards. You know where we’re going but you don’t know how we GOT there unless you keep reading. It’s very interesting, and I only had to flip back in confusion once, which I think declares mad skills for the author.